The above mail, is as good a reason as any to start my blog marathon! Yes! I start today. 30 days. A new post every day! If you want them delivered to your inbox, just enter your email id on the right, and hit enter. I promise I won't sell your email id to those people in Nigeria wanting to give you money, or anyone else :) It is safe with me. It’s been a while since I was here. The reason as you all know is because I was lost in my novel. Most writers will tell you that when they write a novel, they go into another world. Completely. They live with their characters for months and months. To them (and later when the book comes out, to the readers as well) those characters are real. You form a connection with those characters, and live in their worlds for a while. I am no different. I was lost in the world of Aniket, Nidhi, Subbu, Tara and many more, whom you will meet too, when the novel comes out. I finally sent my 2nd edits yesterday. If you want to know what the editing process is like, click here. Today to celebrate, I treated myself to a movie. We watched ‘ Waiting’, directed by Anu Menon, starring Naseeruddin Shah and Kalki Koechlin. The movie was simply brilliant. Outstanding. Finely nuanced. It left me speechless. Even hours after the movie, I haven’t recovered. Just before I entered the multiplex, I got recognised by a group of readers. They came upto me and told me how much they loved my books. They said they were employees of Capgemini and they said they were waiting for my next novel. They also told me that they follow my blog avidly. I told them I would be starting my blog marathon today. They said they look forward to it. Then they clicked a picture with me. When I got home in the evening, there was a huge storm.I was happy to be back home safe. I watched the rains lashing out in fury, from my balcony. I was filled with gratitude that I had shelter, and I sent a prayer of safety for those who didn't. If we have a comfortable home, we are indeed blessed. Take a moment to send out gratitude. 1.77 million people are homeless in India. (and this is according to the 2011 census). Till tomorrow, keep that feeling of gratitude in your heart, and a smile on your face. You look better that way! 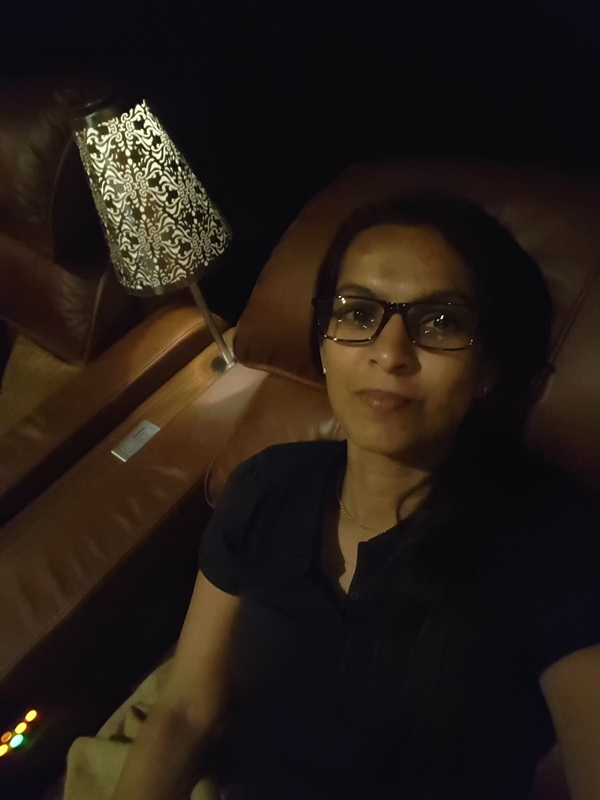 ps: here is a selfie, I clicked in the multiplex today. Welcome back Preeti! 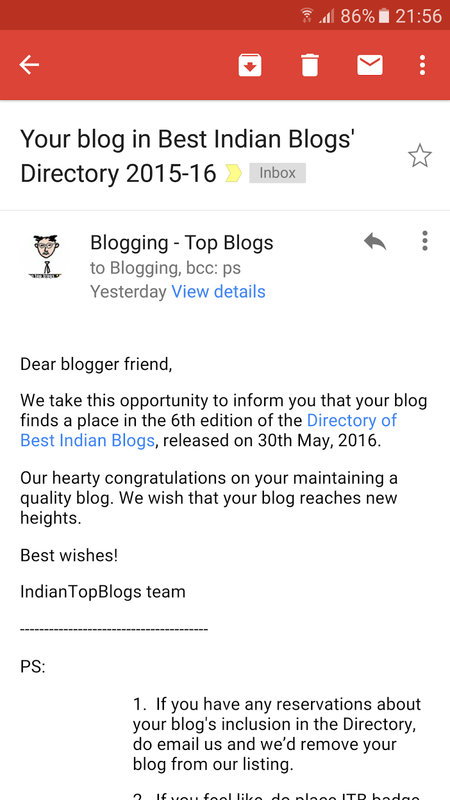 It is always a pleasure to read your blogs on a daily basis. Looking forward to the blog marathon this month. Happy June to you! I am at a place where the temperature just touch 44 degrees today,.... these extreme conditions of weather bring to light some new things...today i asked my mom what if we didn't have an Air conditioner? what if we didn't even have a fan? or a house to hide our heads? may be we would have died by now because of the heat? ... extreme temperatures began to teach me how 100 % lucky I am in here and how many people are dying to be 1% lucky at least out there.. may be,its time we start appreciating what we are left with and share with others that extra glass of water, extra little food, extra pair of shoes, clothes, shelter.. anything that they can't afford and we can! Thnx madam for starting the marathon. 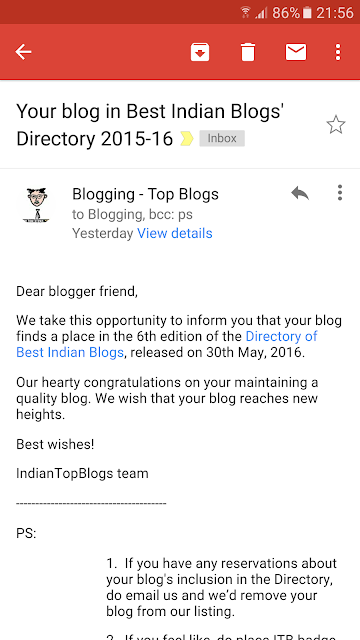 To your readers you are a guiding light through your immensely popular blogs and books. Your book Life is what you make it should be brought into the curiculum of universities where literature is taught as a subject. Always admire you for your hard work and brilliant writings. Thank you Sanjay! I am no guiding light but glad my perspectives help. Yippee. ..so happy with the marathon. .will get to read new post from you. Waiting for your new book preethi.. I have always been a silent reader, My favourite book of yours is " Life is what you make it". Your writing is amazing! It has a feeling to connect with. Everyday I read a snippet of yours, I'm inspired. I'm motivated to write. You pen almost everything that touches and relates our daily dealings. Keep writing. More than Happy to read your work. It's only words but some depth I have to hear your heart away.